A scooter company operating in Chile has found one of its scooters way up in a utility pole. The discovery comes just days after the company launched its service in the South American nation. 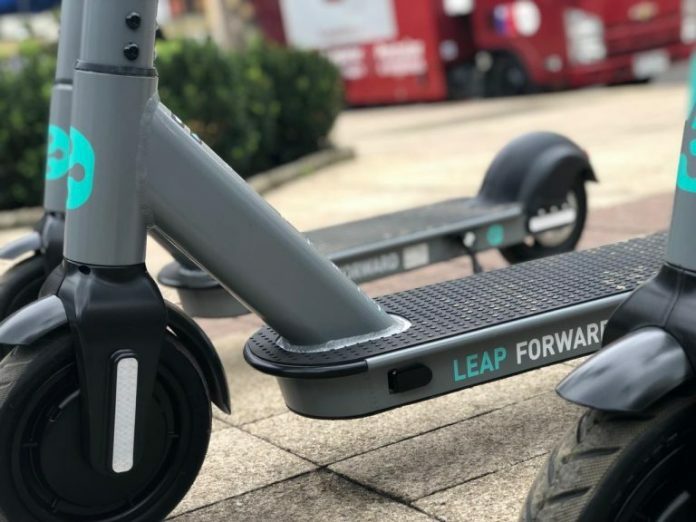 The scooter was found up on a utility pole in the city of Valdivia, where the company launched its service a week ago. The scooter became a bit of a problem for the company since it had to be recovered carefully. The company brought several electric scooters to the city as part of a program to provide a different method of transportation for residents. Frog, the company providing the service with electric scooters, has had a bit of a troubled launch in the city. Gaston Fiego, Frog’s manager in Chile, said that this is the second scooter that has been vandalized. He mentioned that the first scooter was damaged on the front, where the QR code is located. The manager explained that this is part of three stages in the installation of these scooters. He added that first, some of the scooters start disappearing or suffering damages. The scooters then become part of the normal transportation. Shortly after the launch of the service, there were reports that the company had seen a high percentage of its scooters remain in homes. The electric scooters were supposed to be left in the streets for the company to recover but many were taken home. The company was forced to notify users that the scooters have to be left outside. 100 scooters were launched in the city of Valdivia at no cost. The service is available until 9 PM. After that, the company sends in a truck to pick up the scooters and return them to places where users can rent them again the following day. The company has confirmed that the scooters are equipped with a GPS as well as an alarm system to prevent theft. Frog is not the only company that has seen its service get off to a troubled start in Chile. Back in early 2018, bike sharing service Mobike started operating in some communes. The launch was big news for these areas since it provided them with a new method of transportation. The launch didn’t go smoothly as the mayor of Las Condes quickly took social media to criticize the people who were behind the vandalism of the new bikes. He also criticized the discovery of one of the bikes that was thrown in the Mapocho River. On social media, users also pointed out that many people were keeping the bikes instead of leaving them outside for someone else to rent. In some posts, users also pointed out that many had kept the bikes and customized them. Mobike and authorities later launched a recovery operation in which several bikes were returned to the company. The service is now available in a few other areas of Chile, including Santiago Centro.